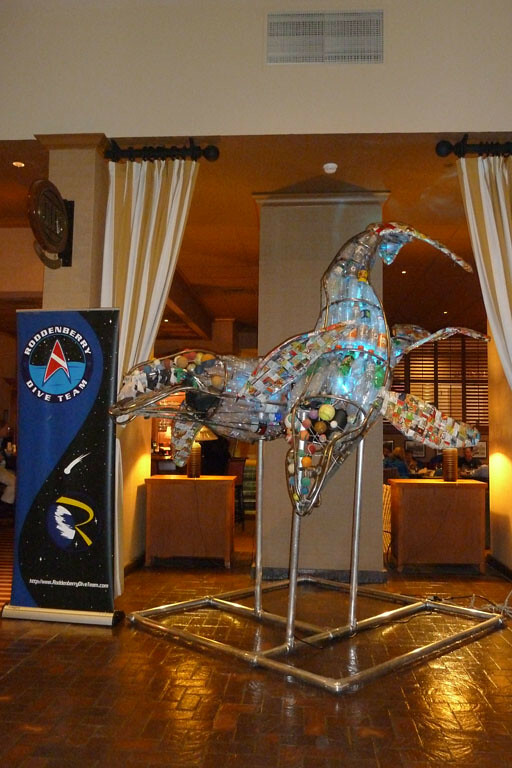 Like Gene Roddenberry challenged audiences to think, question and explore our world, the Roddenberry Dive Team promotes forward-thinking contemplation of the future of the planet’s most precious resource — our oceans. 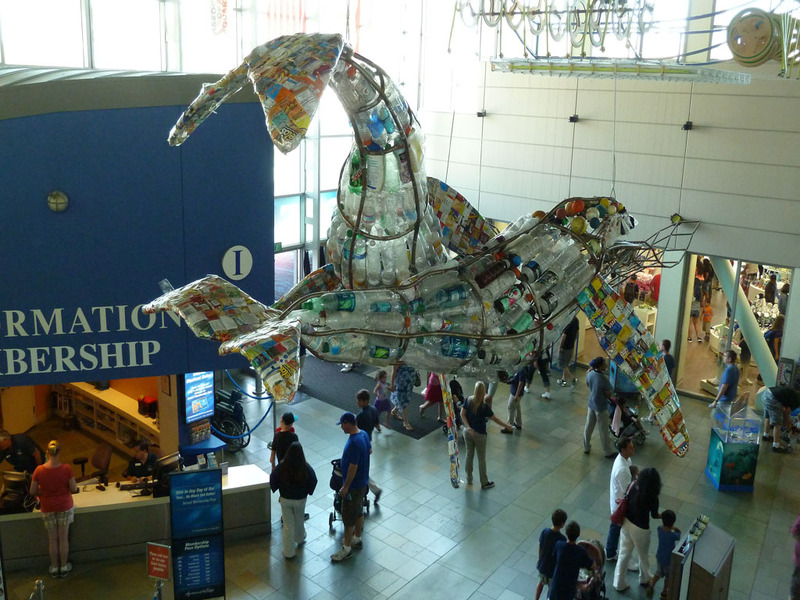 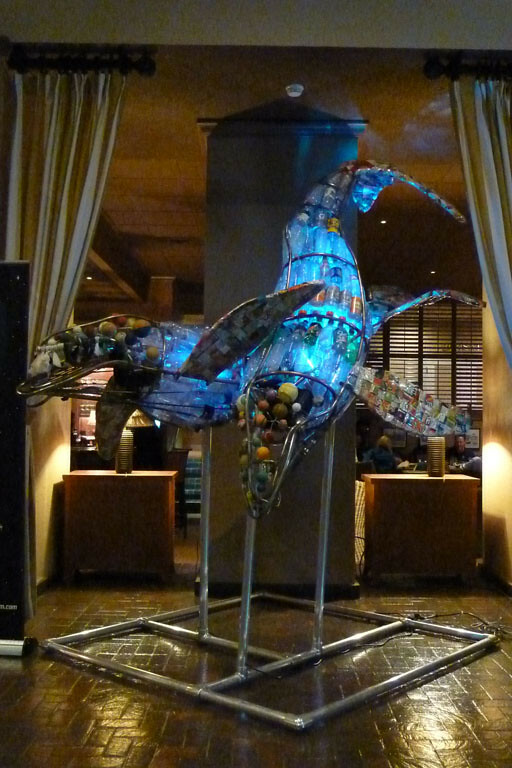 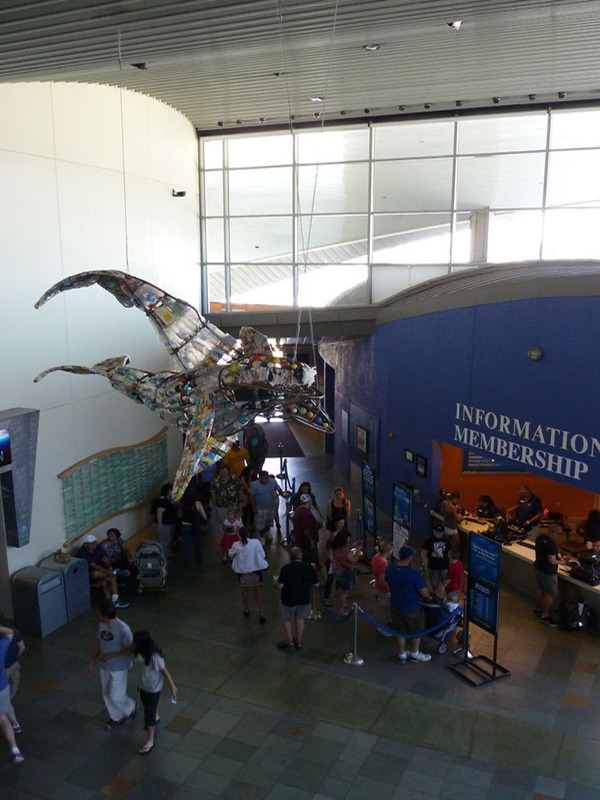 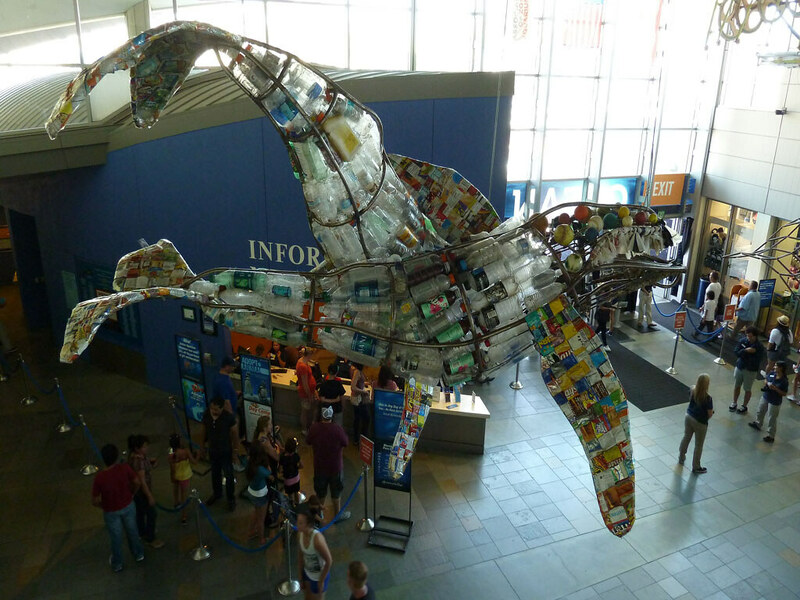 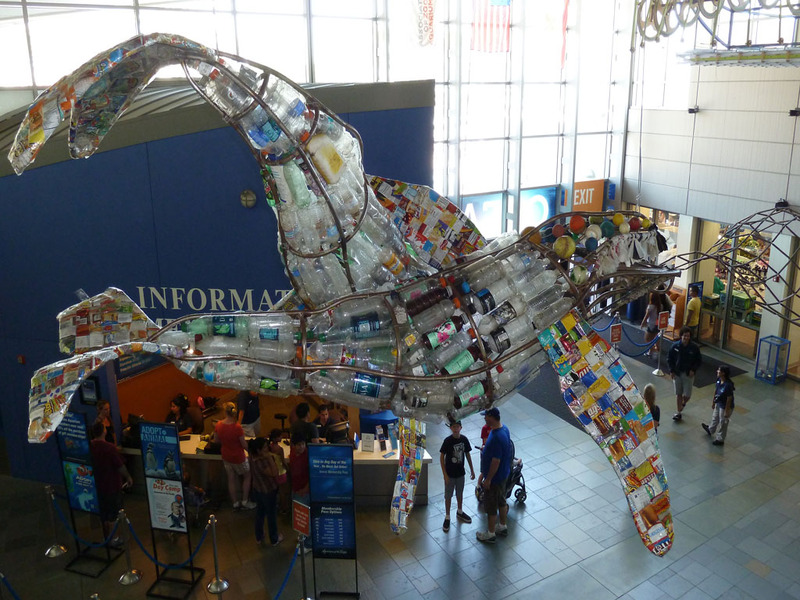 Compelling us to reconsider the dire impact the seemingly inconsequential bits of trash we discard daily has on our precious aquatic habitats, RDT commissioned famed special effects and art director Greg Aronowitz to create a sculpture made from trash. 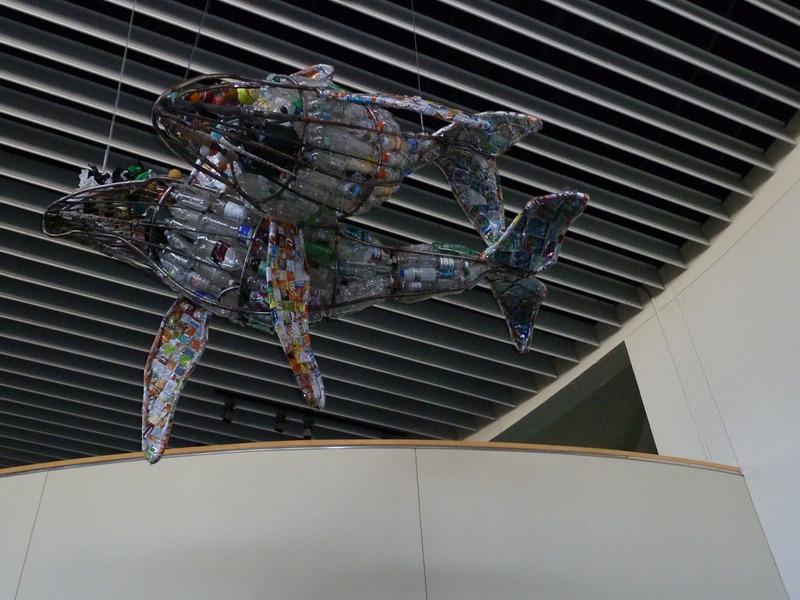 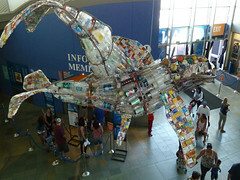 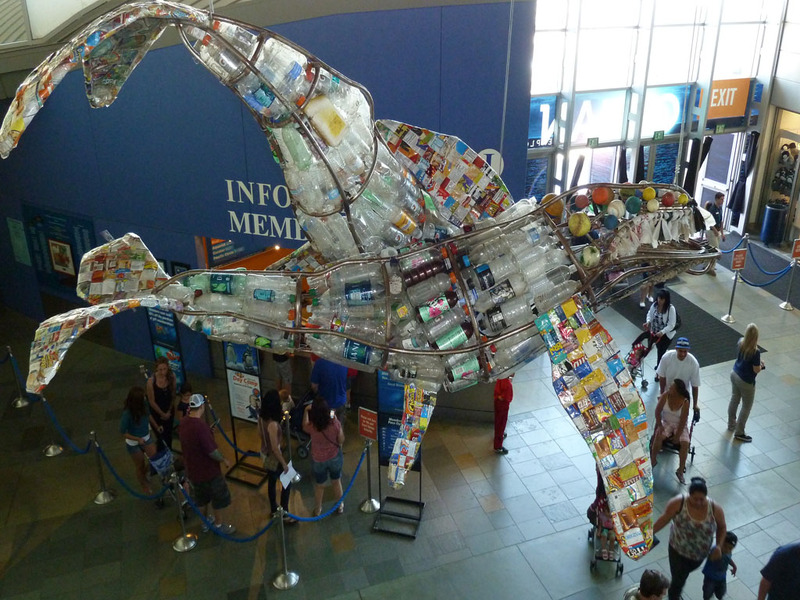 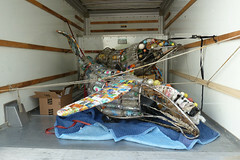 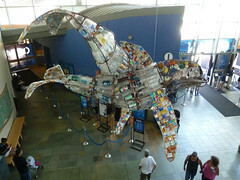 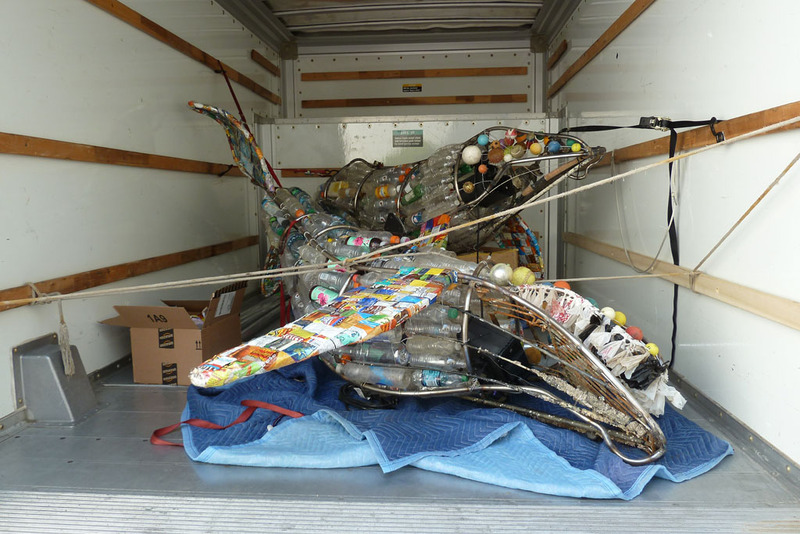 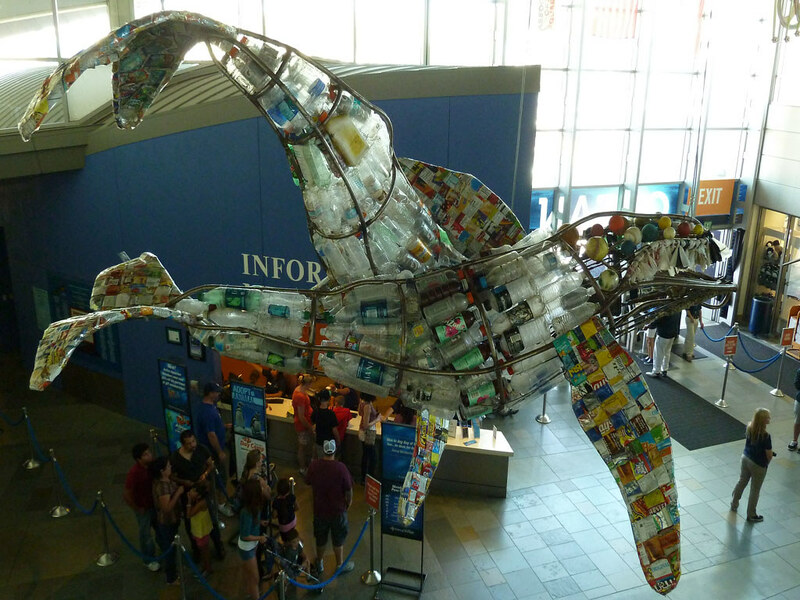 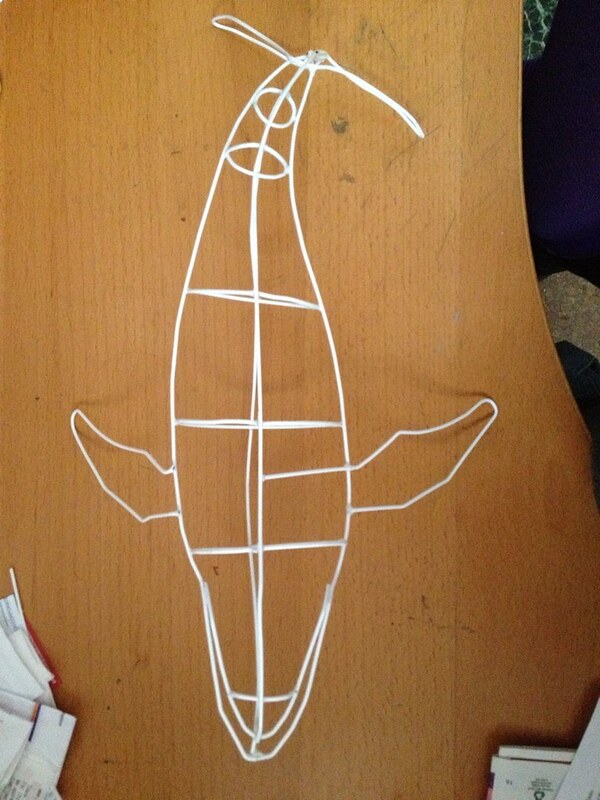 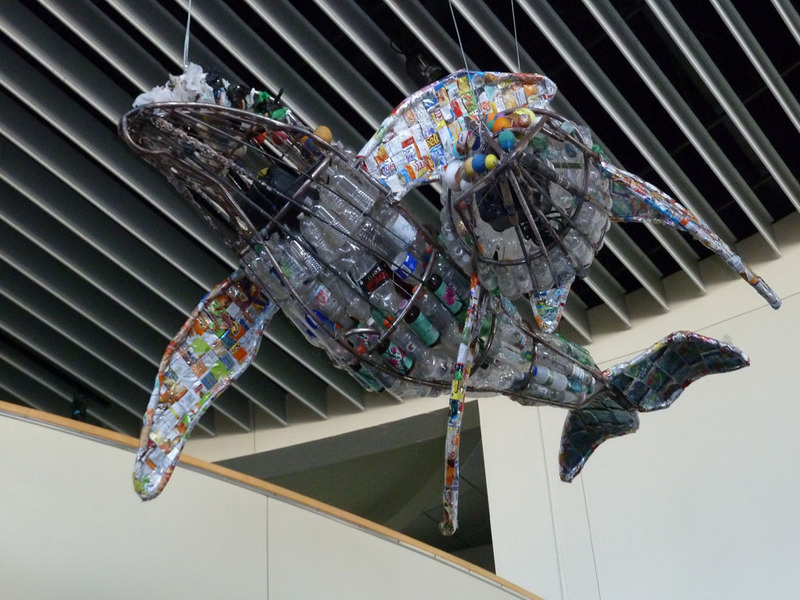 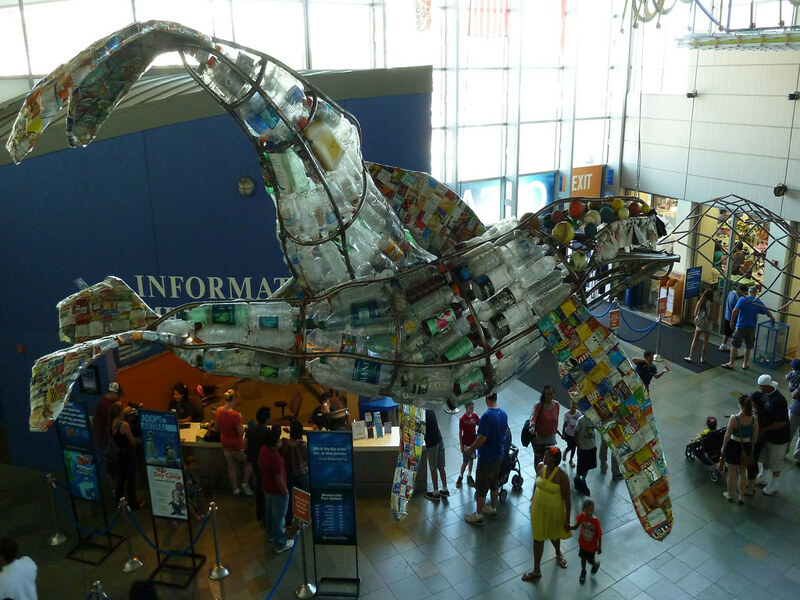 RDT has partnered with the Friends of the Los Angeles River and Los Cerritos Wetlands Stewards to collect trash that was transformed into a marine life sculpture of two humpback whales to raise awareness of the severity of ocean pollution and inspire environmental stewardship. 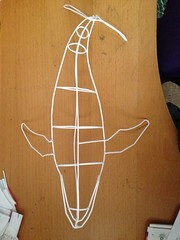 The piece was inspired by the humpback whales George & Gracie, and the strong conservation message in the movie Star Trek IV: The Voyage Home. RDT members and volunteers participated in several cleanups since February 2012, including LA River cleanups, The Great LA River Cleanup, the Avalon Underwater Cleanup in Catalina, CA, and our annual Comic Con dive and cleanup in La Jolla to collect marine debris for this project. 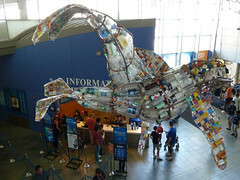 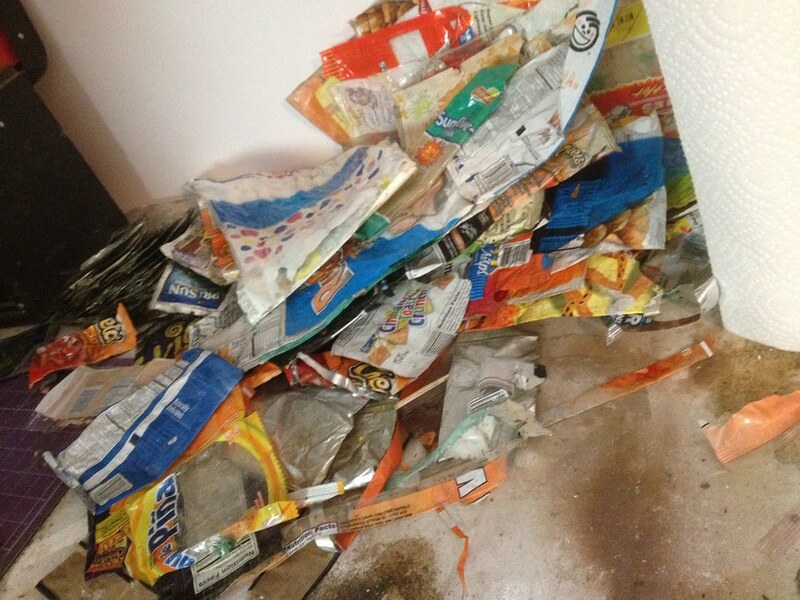 The most commonly collected trash items were plastic bags, plastic water bottles, plastic pill bottles, balls, candy/chip/food wrappers, small Styrofoam pieces and cigarette butts. 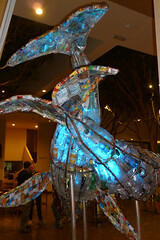 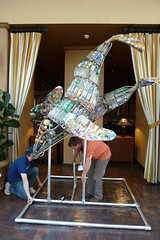 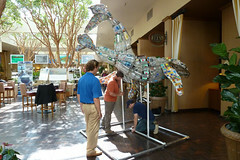 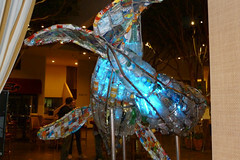 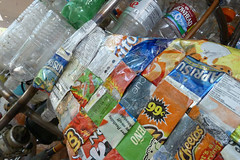 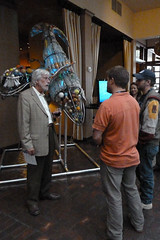 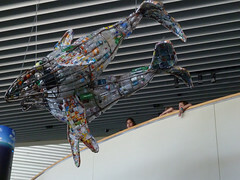 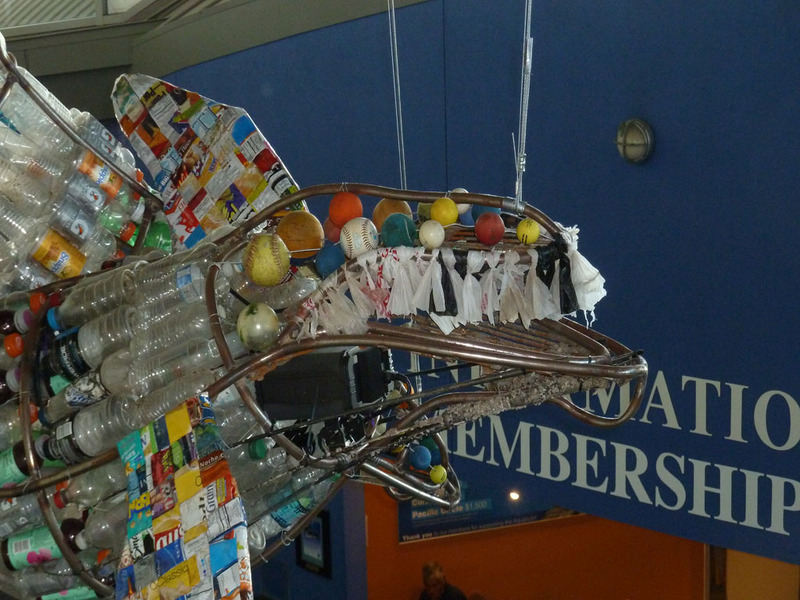 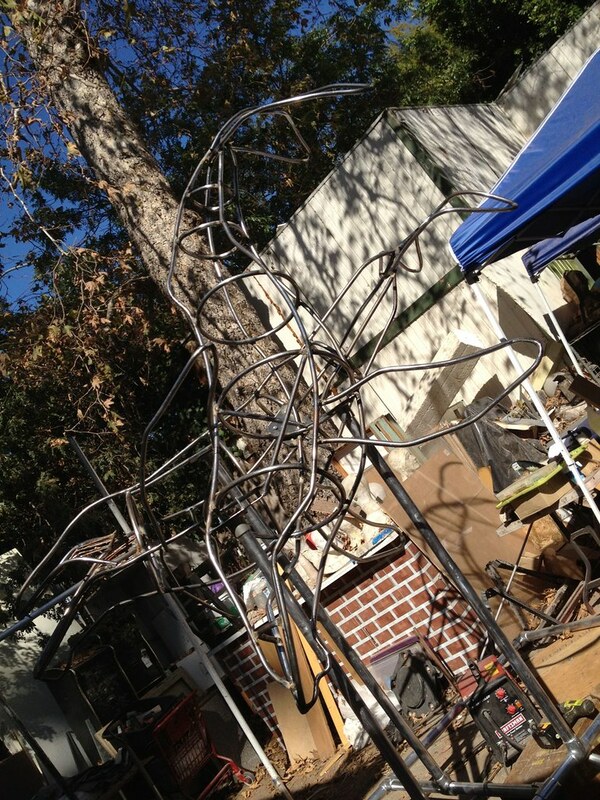 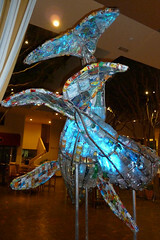 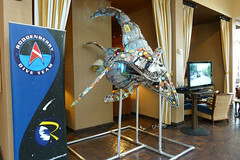 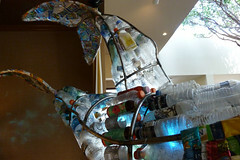 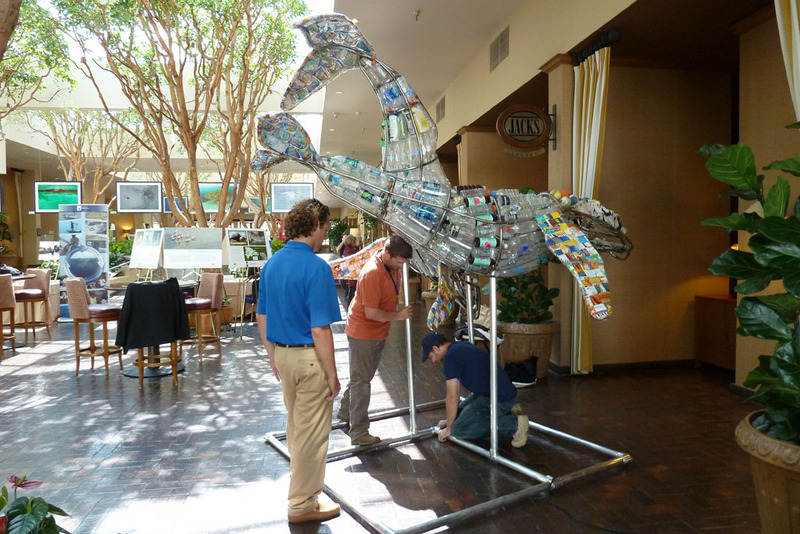 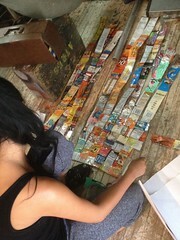 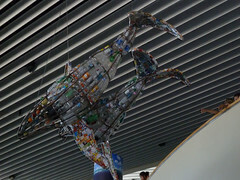 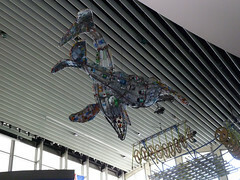 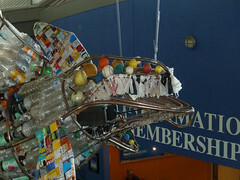 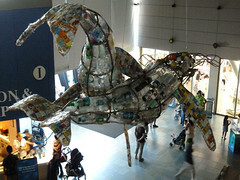 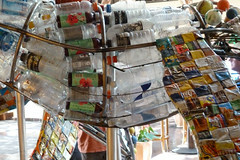 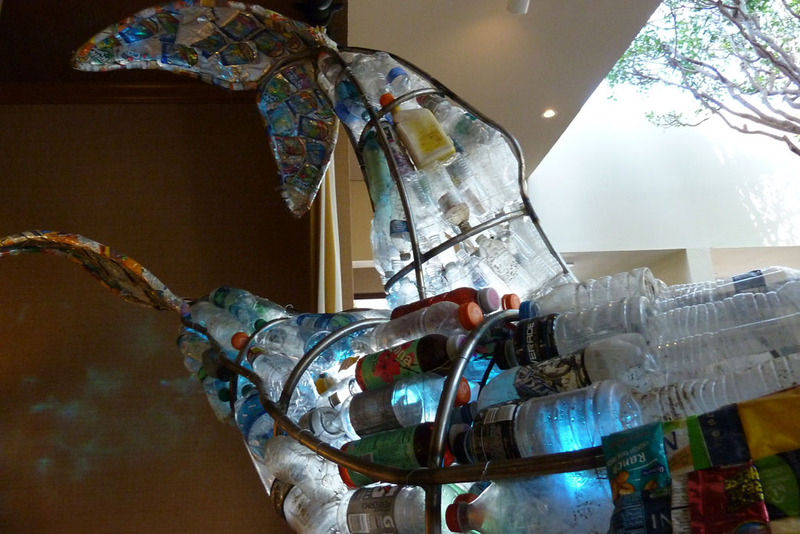 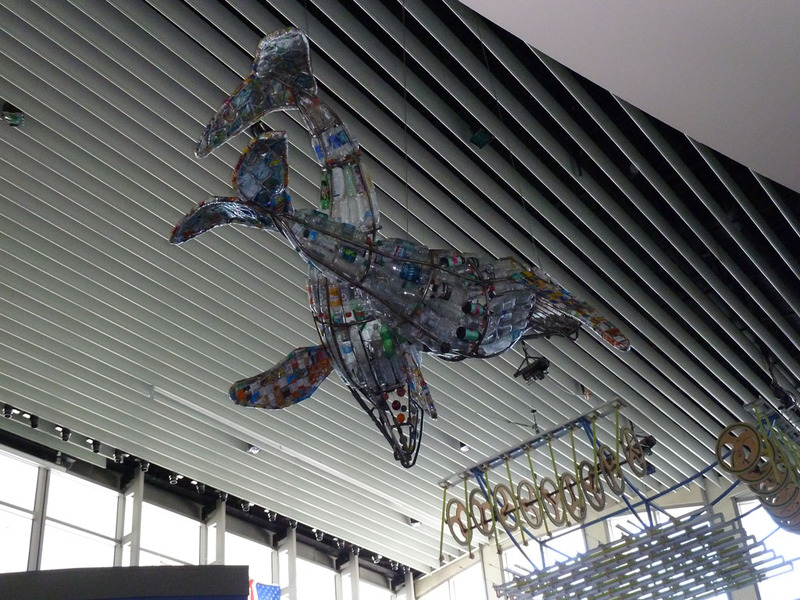 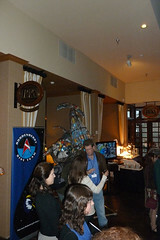 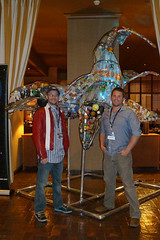 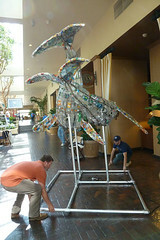 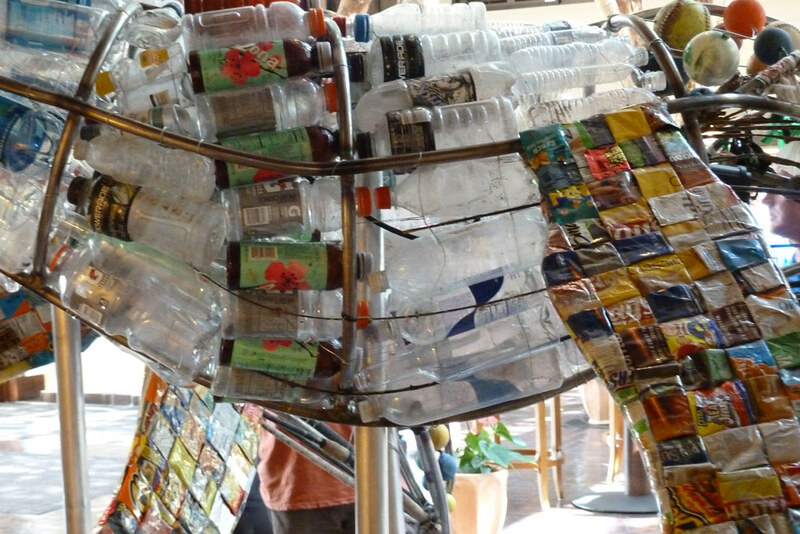 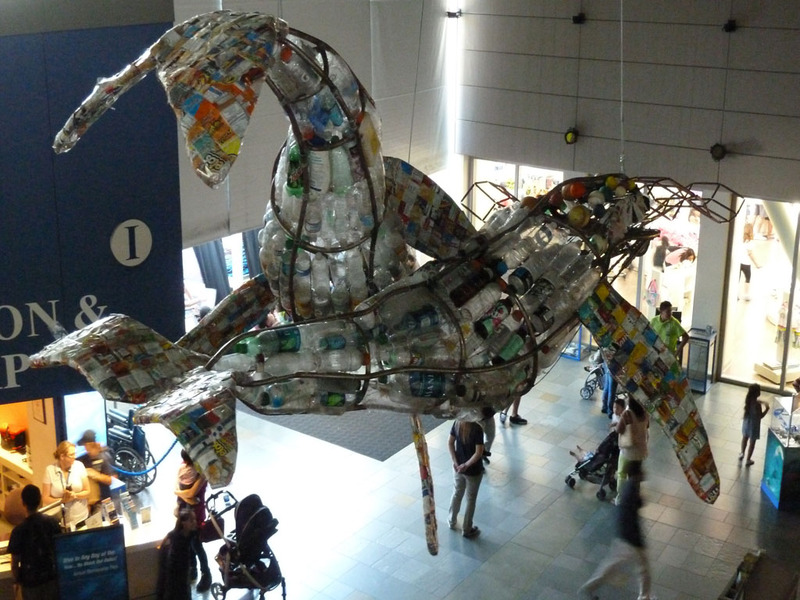 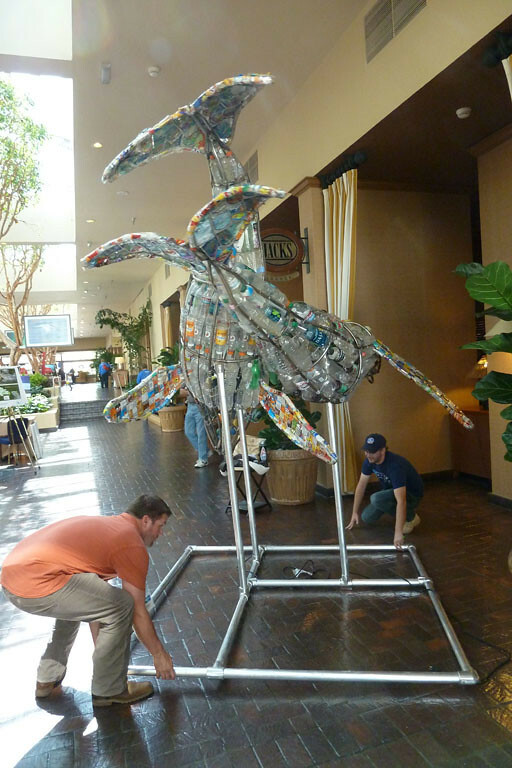 95% of the sculpture is created from trash collected by RDT members. 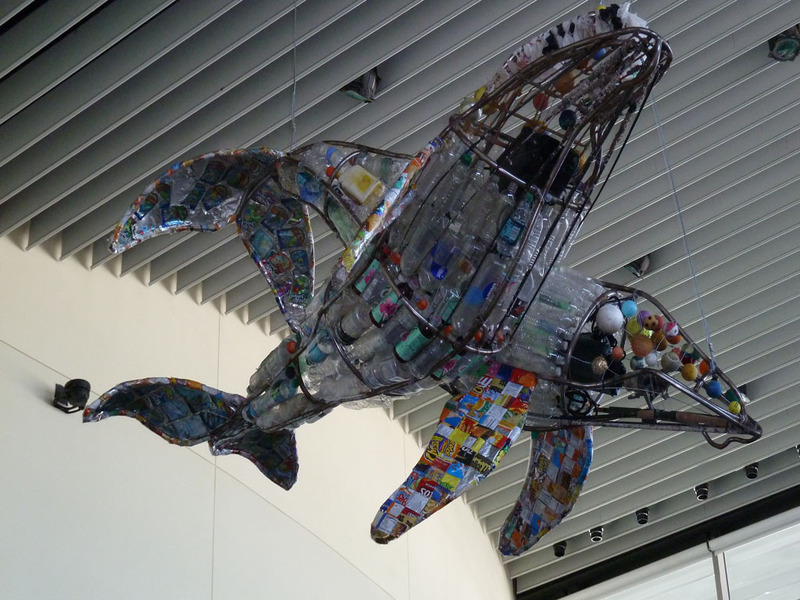 The frame is made from baby carriages, shower curtain rods, shopping carts, fishing poles, boat railing and pipes removed from the Los Angles River and the Avalon Harbor. 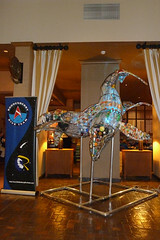 George & Gracie is the centerpiece of the Roddenberry Art Project. 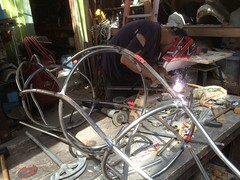 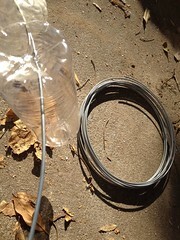 The project also includes a behind-the-scenes short film that documents the creation of sculpture. 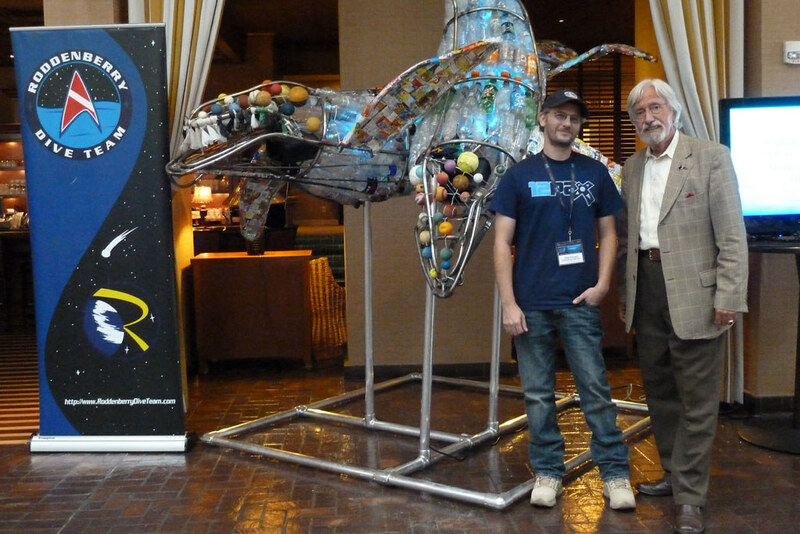 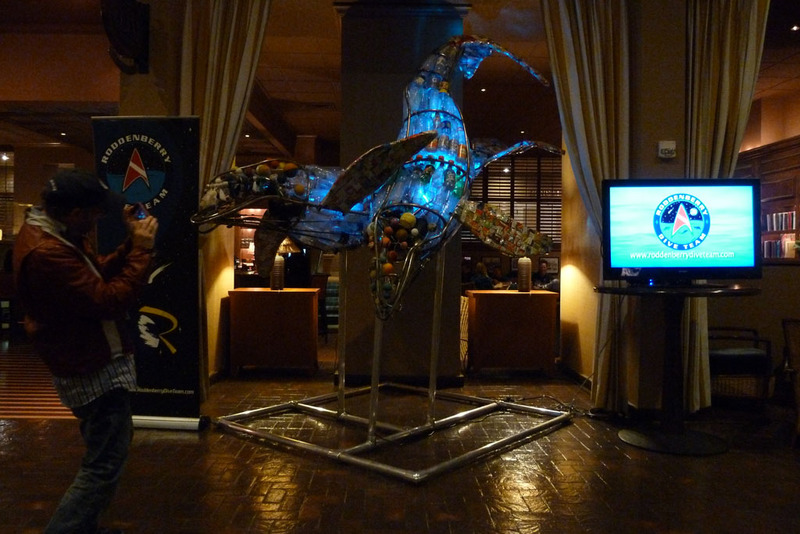 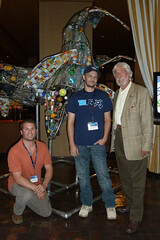 RDT debut the sculpture at the Blue Ocean Film Festival in Monterey, CA in Septemeber 2013. 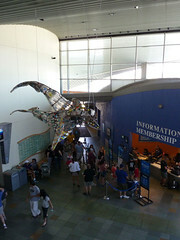 The whales were then featured at the Museum of Monterey. The piece is currently on display at theAquarium of the Pacific in Long Beach, CA. 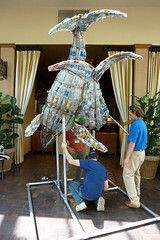 We hope “George & Gracie” will inspire people to become better stewards of our planet! 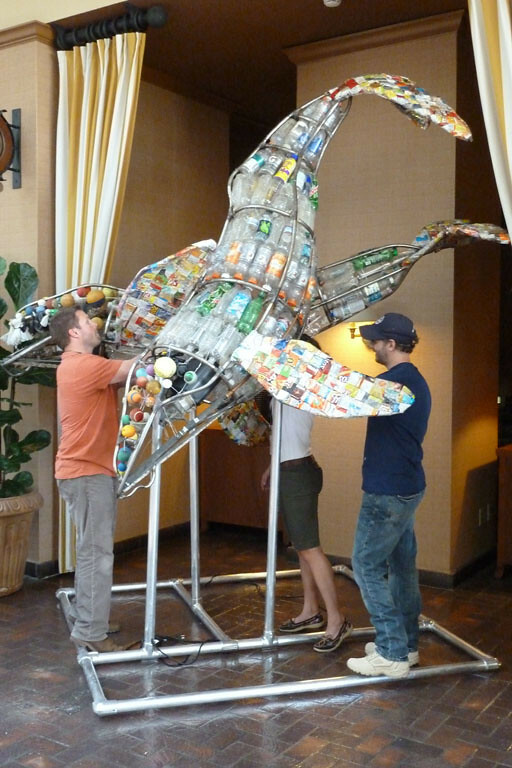 Greg Aronowitz has honed his skills as a special effects artist and design specialist by contributing to more than 300 film and television projects. His visual sense and wide- ranging abilities have been called upon by every major director and studio, including the likes of Steven Spielberg. Credits include Memoirs of a Geisha, Dances with Wolves, Terminator 2, Minority Report, A.I., Castaway, Saving Private Ryan, The X-Files, Contact, Robot Wars, CSI: Miami, ABC’s Power Rangers SPD and The Guild. 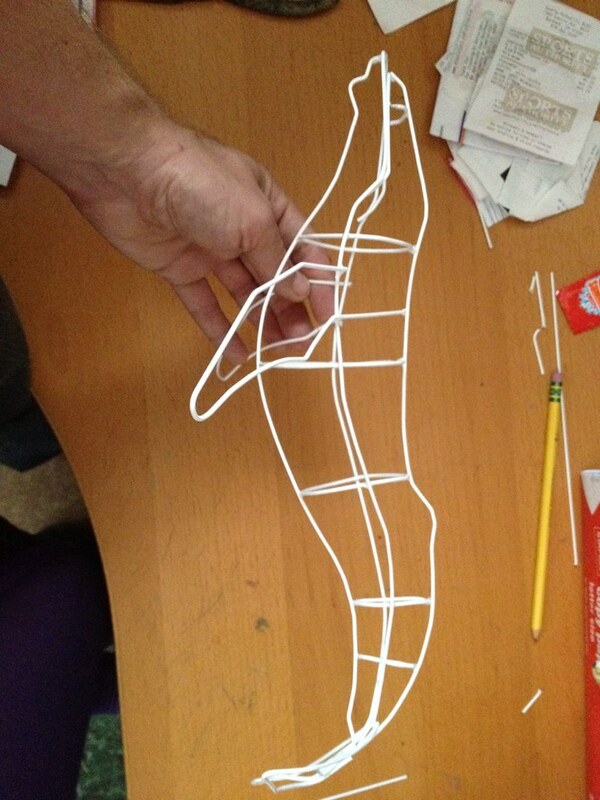 Greg has created several successful merchandising companies including “Legends in 3 Dimensions” , “Action Toys”, and “Floppets”. 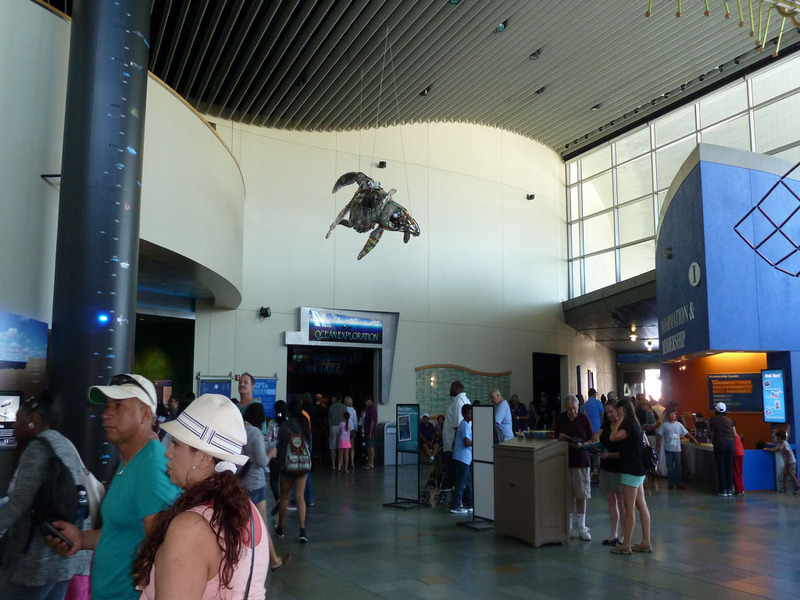 Through these entities, Greg produces product for such major franchise licenses as Star Wars, Star Trek, Terminator, Spiderman and Marvel Comics and Walt Disney. 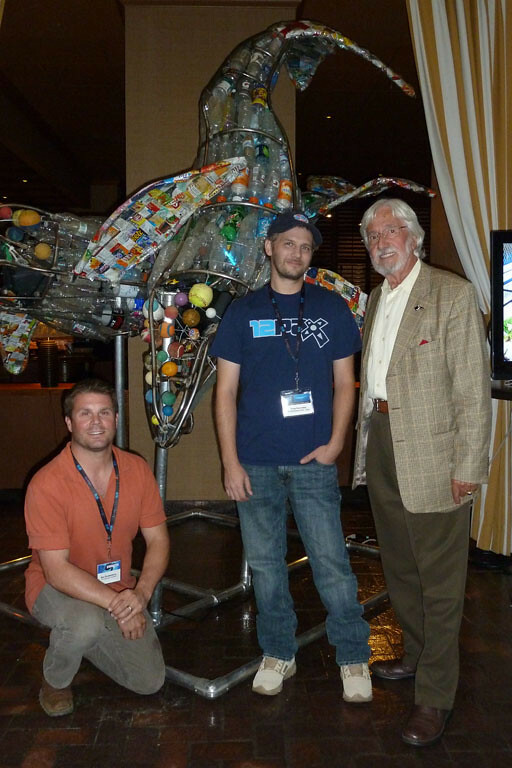 Through his company Dog & Rooster Productions, Greg wrote and directed the feature Labou, a family film with a theme that encourages children to respect and preserve wildlife and its environment. 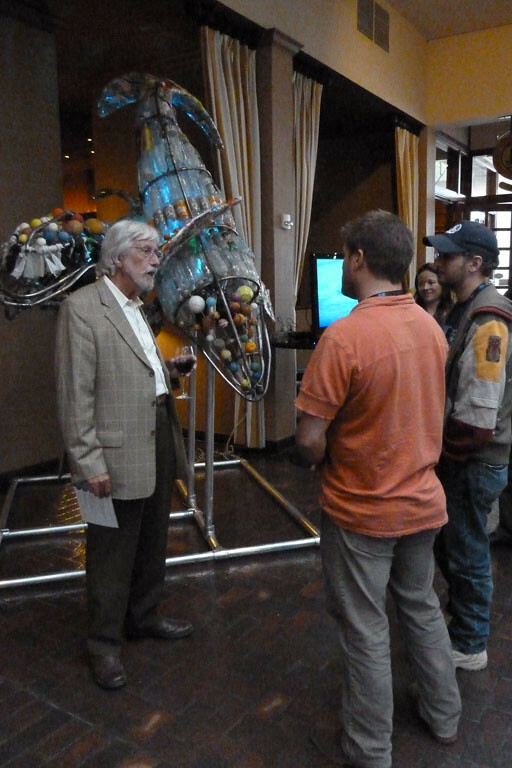 Greg inspires young people to pursue their own art through workshops in schools and open question lectures around the world. He created a series of sculptors called “They Can’t Protect Themselves” for The Surf Rider Foundation to raise awareness for human impact on the ocean environments.